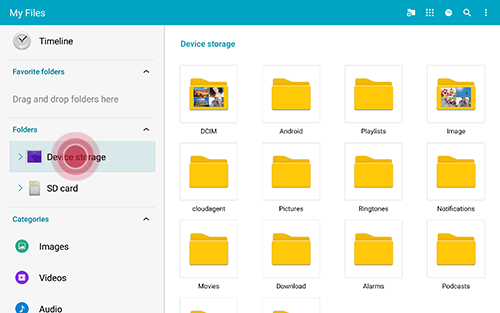 How do I move photos, videos, and other files on my Galaxy Tab S 8.4 to a microSD card? 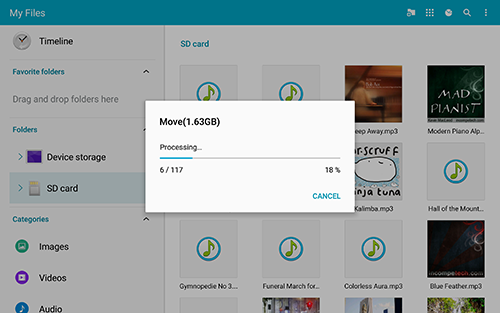 You can save room on your device by moving pictures, videos, and other files to your microSD card. 1. From the Home screen, touch Apps > My Files . 2. 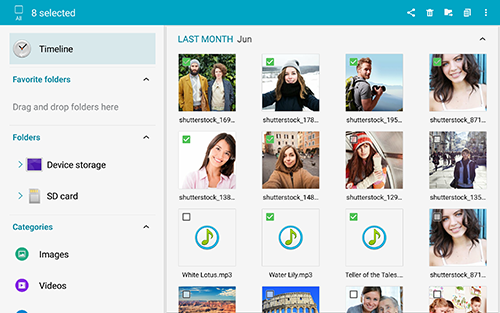 Touch Timeline to view files in chronological order, with the most recently created files at the top. 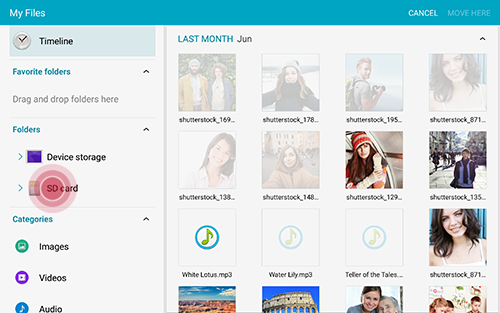 If you want to move a specific file type, tap one of the categories to view only the related file types. • Images - View any images on the device. • Videos - View any videos on the device. 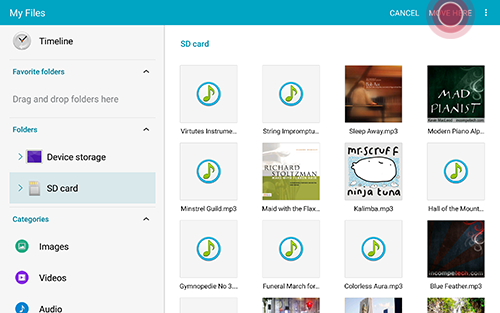 • Audio - View any audio files on the device. This includes, but is not limited to, music and any recorded audio. • Documents - View any documents on the device. 3. Touch More options > Select. 4. Tap and mark the file(s) to want to move or copy. 5. Touch to move files or to copy files. Note: Menu will appear in the top right corner once files are selected. 6. 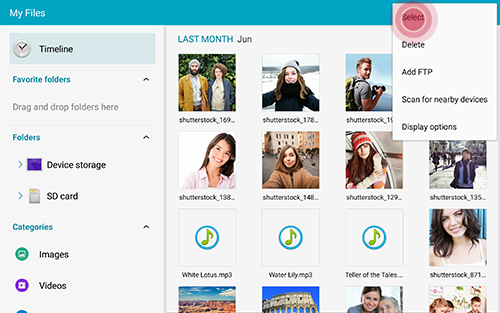 Touch SD card . 7. Select a folder and touch MOVER HERE to finish or PASTE HERE if you selected Copy files. 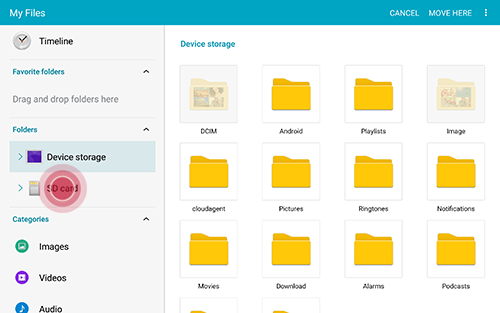 Note: Tap More options > Create Folder to place files in a new folder. To copy or move a Group of files, follow the steps below. 1. 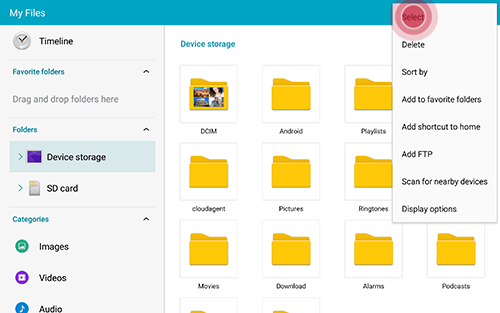 Touch Device Storage to view folders. 2. Touch More options > Select. 3. Tap and mark the folder(s) to want to move or copy. 4. Touch to move folder or to copy folder. For this example, we will move folder. Note Menu will appear in the top right corner once files are selected. 5. 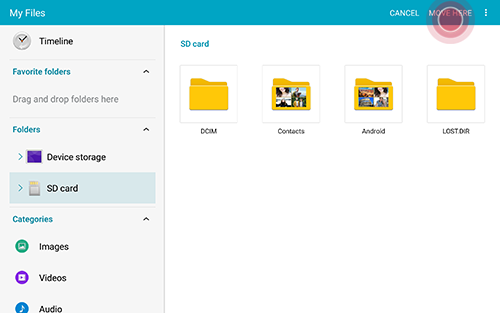 Touch SD card . 6. 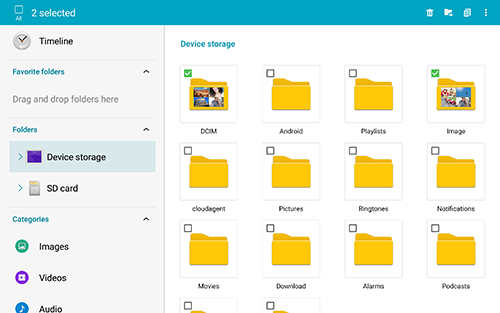 Select a folder and touch MOVER HERE to finish or PASTE HERE if you selected Copy files. 7. Your files will begin transferring. 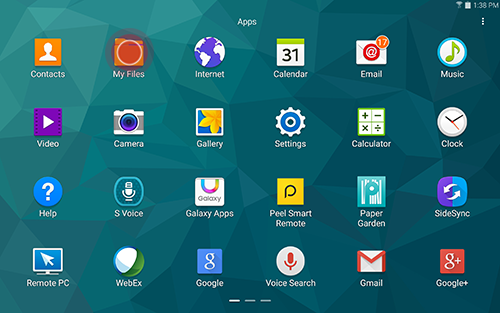 How do I uninstall or turn off an application on my Samsung Galaxy Tab?S 8.4?